This 20 page guide book was created to help the residents of Miami Township, Clifton and Yellow Springs better prepare for and respond to emergencies. Our area is susceptible to many types of incidents, varying from tornados to winter storms to acts of terrorism to chemical leaks. 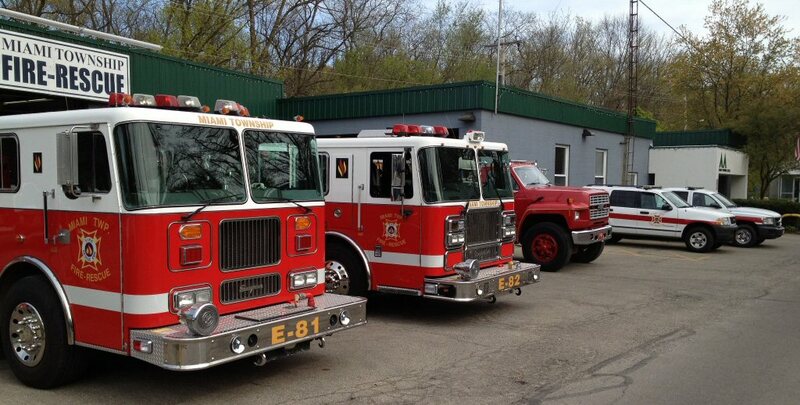 Being prepared for any emergency is as simple as planning ahead. Making sure everyone in your home or business works together to make a plan, gather emergency supplies, and understand the hazards they may face. Learn how you can take control in an emergency. It is important for you to learn what threatens your safety, know how to prepare for any type of emergency as best you can and be ready to act when directed to do so by authorities. 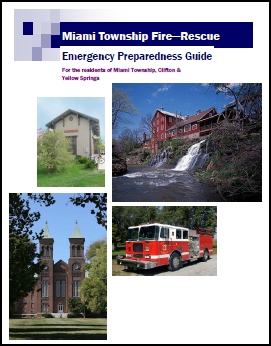 Click here to download the Emergency Preparedness Guide, or pick up a copy at the Yellow Springs Village offices or from Miami Township Fire-Rescue.